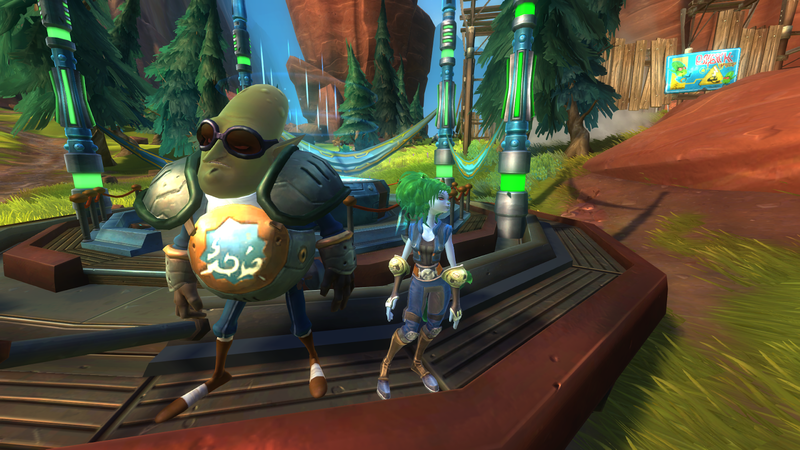 This past week was a busy week in WildStar. 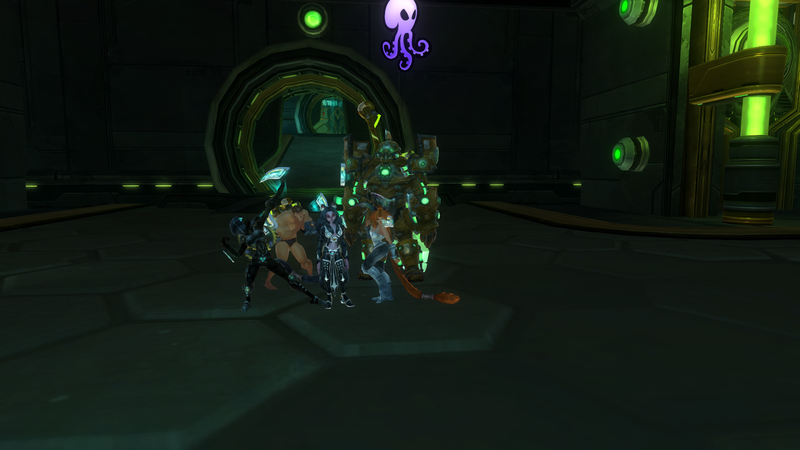 Tuesday night we ran Bay of Betrayal on the PTR again, and almost downed the last boss! We’re going to try again next week. I’m in the process of writing a post for my thoughts on the Drop 5 PTR, and I hope to be posting it soon (as it includes a fast-forwarded video of us running Bay of Betrayal). Friday was our “Normals Night” as I like to call it. We have a lot of 50s that run Veteran/high level content throughout the week, but we also have a lot of people new to the game, new to the guild, or just wanting to get some time in on an alternate character–so we like to set aside a night here and there for them. We do run impromptu stuff, but it’s nice to know that there’s a night where people can put their feet up and help each other out–which is what we’re all about. I ended up helping out on three runs before I had to log for the night. I ran a Hycrest Insurrection and Kel Voreth on my Slinger, and a Baby Protostar on my Baby Esper. I’m hoping that Chaide will want to get in on leveling his baby warrior (Keanu Anderson–yes, it’s a Matrix reference, and yes, he hams it up with Matrix references on the toon), as we’d been leveling the toons together. PvP Season 1.5 has been announced with lots of changes incoming, and the PvP community is starting to become cautiously optimistic. Also included will be a mini-pet (companion, whatever) that the top 5% of PvPers in 3v3 Arenas will have access to. This will either (1) get more people interested in PvP to try to win it, or (2) people will QQ because they have to play hundreds of plat for that one mini-pet. Honestly, I think it’s great to reward people with things like that, and eventually the prices will come down for it if people don’t want it. I know that it’s good motivation for some of my guildies that dabble in PvP to come play Arenas with me. So there’s that. DD (the WildStar CM) announced yesterday, was the ability to copy your live characters onto the PTR instead of having to re-roll a new level 50. Not that the process is difficult by any means, but some people just can’t be parted from their mains for various reasons. So I’m hoping it’ll get some more folks checking out the PTR. Wednesday and Thursday were busy days with real life shenanigans, and left little time for gaming. With Chaide’s graduation coming up soon, we’ve a month full of events, including my mother being in town for Mother’s Day and his graduation. That week there will probably be very little gaming, so instead, I think I’ll be taking some photos of the things we go do and making short photo-oriented posts for the days she’s in town. Last night, Chaide and I were invited to a dinner party. We were the youngest there, but we had a lot of fun. The food was delicious, and the people who invited us were very gracious hosts. It was sort of a teacher-networking thing as well, in a way. Which was nice for Chaide. Chaide and I recently finished the BBC Broadchurch, and have been looking for a new show to watch. A while ago, one of our friends told us to check out True Detective, and likened it to “Lovecraft without the Lovecraft”. After having watched 5 of the 8 episodes, I would have to disagree with the statement. It’s a very interesting mix of general horror meets crime-show meets philosophical debate meets psychological horror. It’s very good and worth the time, assuming you enjoy psychological horror shows. Woody Harrelson and Matthew McConaughey truly bring the characters to life and give them a purpose. They’ve always been fantastic actors, but this solidifies them as gentlemen that will continue to be fantastic actors well into Sean Connery-age. Also, the theme song for the season is a lot of fun. Give it a try if you’re looking for a new show to watch.